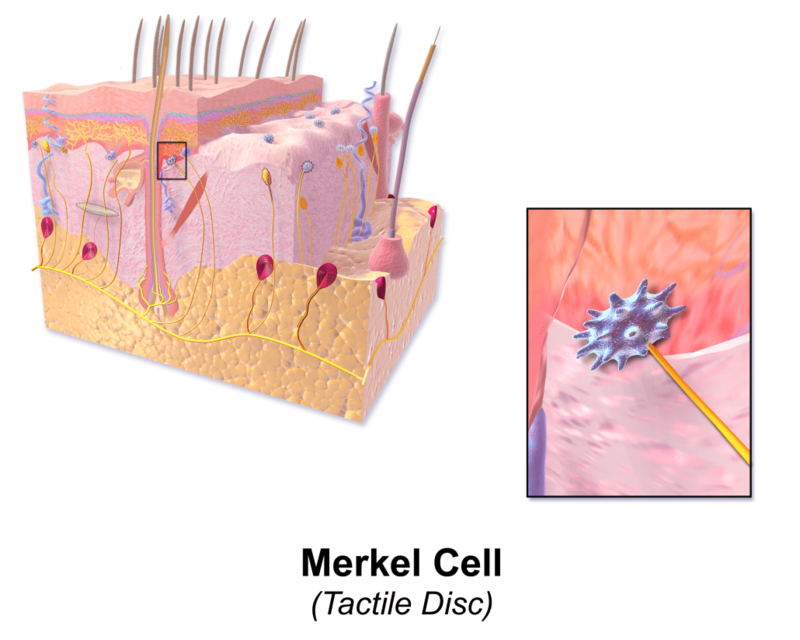 You are here: Home / Blog / Skin Cancer / What is Merkel Cell Carcinoma? Taking drugs that make the immune system less active, such as after an organtransplant. This and other changes in the skin may be caused by Merkel cell carcinoma or by otherconditions. Check with your doctor if you see changes in your skin. Full-body skin exam: A doctor or nurse checks the skin for bumps or spots that lookabnormal in color, size, shape, or texture. The size, shape, and texture of the lymph nodes will also be checked. Skin biopsy : The removal of skin cells or tissues so they can be viewed under amicroscope by a pathologist to check for signs of cancer. https://treatcancer.com/wp-content/uploads/2015/11/MerkelCellDiagram.png 1280 1600 Southeast Radiation Oncology Group, P.A. https://treatcancer.com/wp-content/uploads/2015/08/SERO-logo-PNG-450x174.png 2015-11-01 07:47:072018-10-24 01:15:14What is Merkel Cell Carcinoma?